The new education package Microsoft 365 Education, was official launched at Innovation Africa a few months ago in Maputo, Mozambique. 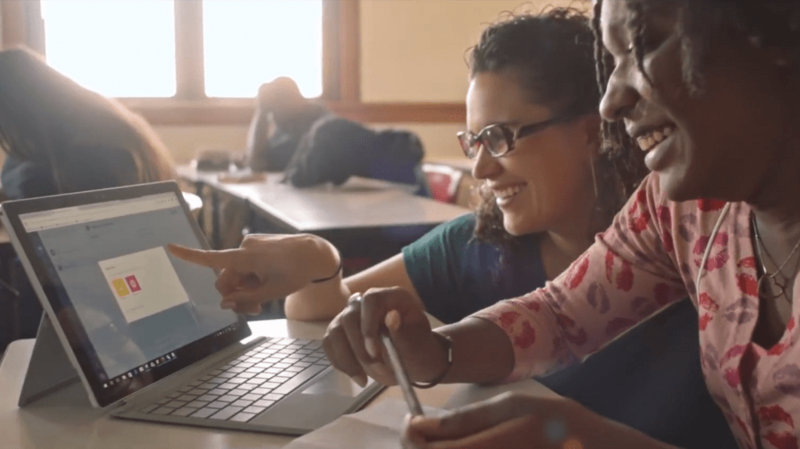 The Microsoft 365 Education package is a technology solution built for education. It comes as a bundled package of Office 365, Windows 10, Intune for Education, Minecraft Education Edition and Enterprise Mobility + Security all in a single cloud based package. “The aim of Microsoft 365 Education is to get schools up and running faster through simplified acquisition and deployment. This eliminates wasted time and delivers new capabilities to teachers and students to help them learn and work in new ways. We know that schools want simple to purchase, simple to manage, secure and efficient systems. Microsoft 365 Education is designed to deliver on that need.” – Mark East, Microsoft Regional Leader for Education in Europe Middle East and Africa. Microsoft 365 Education is here to provide educators and students with all the tools needed to teach and learn skills needed for 21st century life. Familiar products like Office 365 encourage collaboration, Enterprise Mobility Suite provides security and management, and we’ll be introducing the latest version of Minecraft: Education edition. This fun open-world game is changing and improving the landscape of learning in a way students really enjoy. If you’ll want to learn more about the new Microsoft Education package, with demos, presentations and testimonials. Get insights and if you’ve got questions on what works and doesn’t, this is the right opportunity to participate in the event hosted by Microsoft Education Partners for Ghana, Zepto Ghana Ltd. and Point de Vue Afrique. Educators, IT Admins, IT heads of schools, Heads of Institutions, Register to be part of this event on December 7th, in Accra, Ghana.